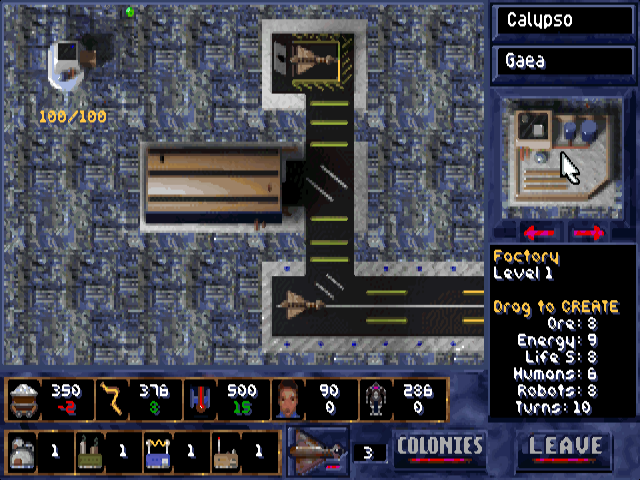 Alien Legacy is a bit hard to come by, it was initially published by Sierra On-Line in 1994. 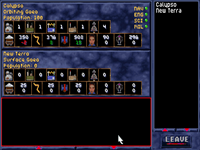 Nevertheless if you can get a hold of it, it runs very well under DOSBox 0.73 (particularly using Overlay mode for graphics). 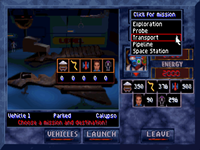 The game is a mix of exploration, research, resource-management, and some lightweight combat. You’re the captain of the colony “Seedship”, the Calypso. 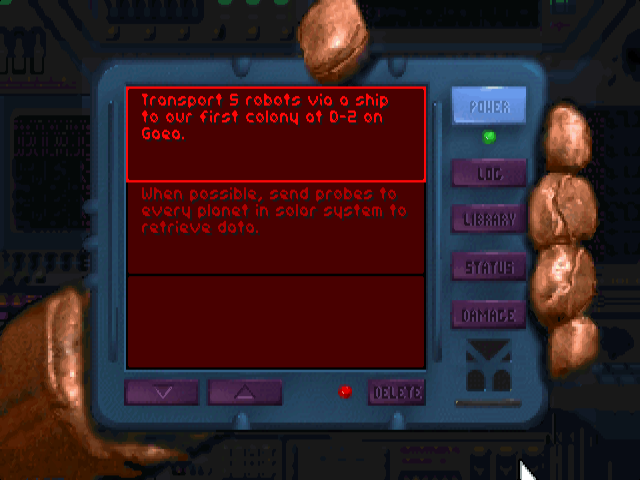 After many, many decades along with your crew and colonists in cryogenic suspension while robots ran the ship, you’ve arrived at the Beta Caeli system, 55 light-years from Earth and are beginning to read your email, while your command crew get comfy and start talking about thawing out the first batches of colonists. 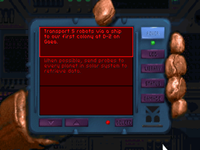 According to the messages your robots received for you, in-flight, another more advanced ship, the Tantalus, left about two decades after yours, and was due to arrive two decades before you, thanks to improved drive systems. 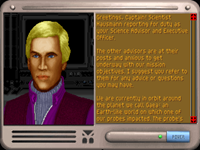 Arriving a little late on the scene as you are, the crew and colonists of the Tantalus should be well-established by now. Only there’s no sign of them, and no sign of the Tantalus, if it was ever even here. Other messages seem to indicate that there had been a war with an alien species. One which did not seem to go well. There’s nothing after that. 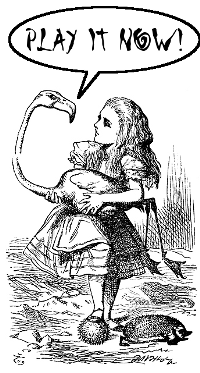 For all you know, you may be the last humans, unless the Tantalus can be found. Right away, though, there are more pressing concerns. The robots have established the first colony frame on the planet below, and you’ve got a job to do. Discover more about the worlds, get some colonies up and running, and get some mining and manufacturing done. 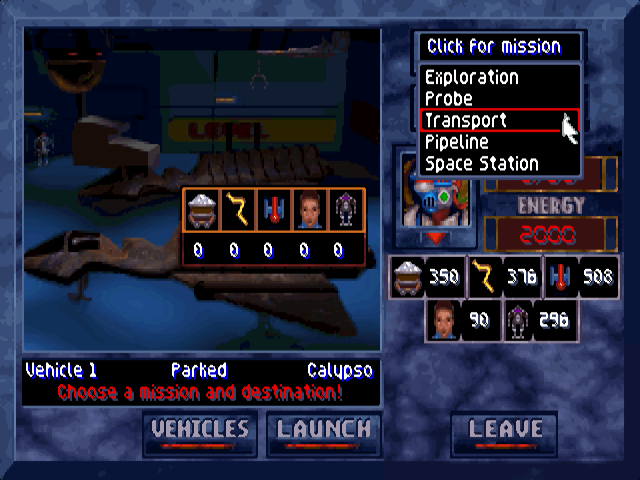 While the Calypso is well-stocked, its resources are far from infinite. 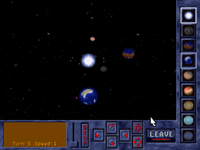 Alien Legacy’s graphics are nothing to write home about, but each screen does the job. 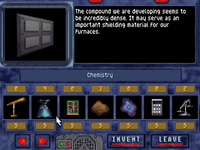 Basic resources include Ore, Energy, Life Support, People and Robots. 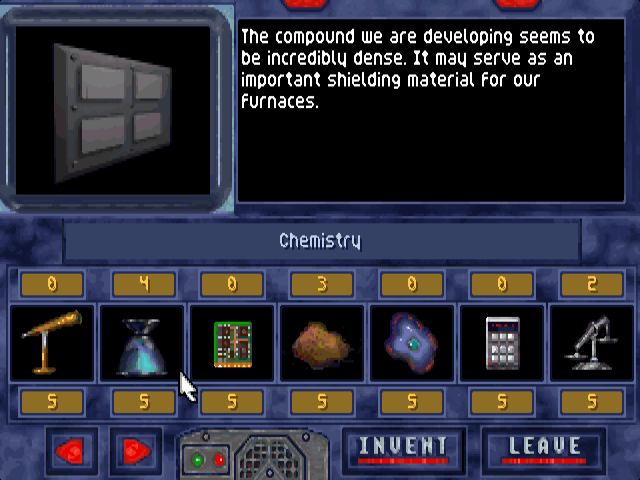 Colony structures include Factories, Habitats, Power Generators, Research Labs and an assortment of specialized other items that become available through research. Through the majority of the game, you’ll encounter no particular foe. That doesn’t mean that everything will go your way. There are accidents, and setbacks, and lines of research that seem promising but amount to dead-ends. Every structure has operating and maintenance requirements in people, robots, and consumable resources like Ore, Energy and Life Support. Getting the surpluses you want as fast as you want them while keeping the colony self-sustaining can be an interesting challenge. Transport ships can be used for exploration, orbital surveys, or … well, as transports. Thankfully, transportation of resources can be set up as a ‘pipeline’ – an automated transfer from point A to point B that continues for as long as you please. 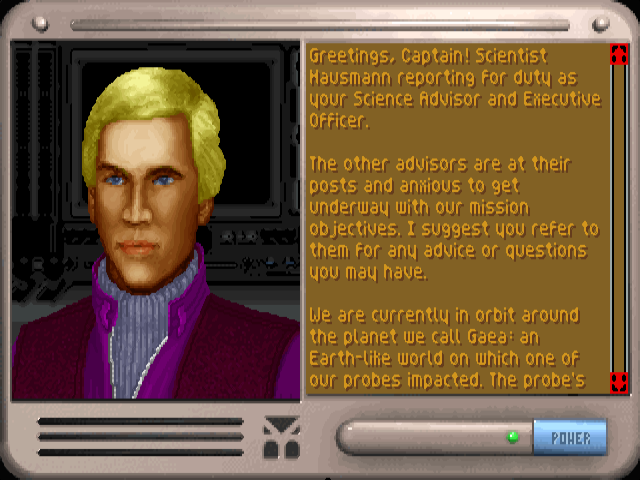 You can also take a ship to one of the sectors on a world and fly it around, looking for valuable resources, even more valuable research materials, or any sign of the Tantalus colonies and crew. Flying one of the ships in this mode is simple, and third-person (though an optional top-down view is available). Reflexes required: Zero. That describes Alien Legacy fairly well. It places demands on your brain, not your reflexes. It allows you to build systems and to profit from those systems to sustain your additional ventures through the Beta Caeli system. During all of this there is a story, and other events that play out through interrupts from your senior officers, and assorted reports. Alien Legacy plays out in turns, but the turns pass in real-time. 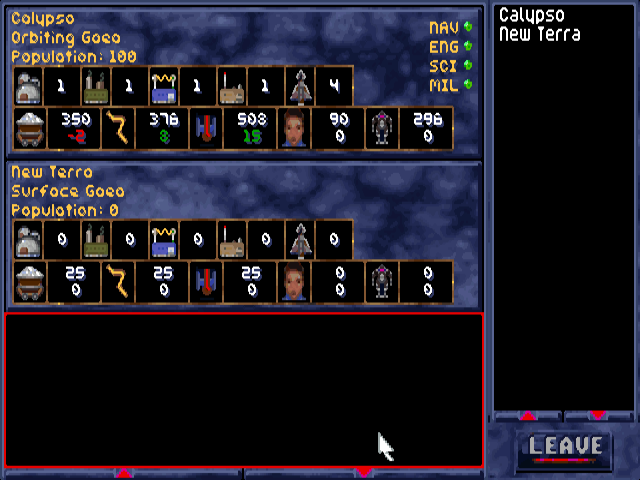 At the lowest setting, a turn seems to take about 30-40 seconds or so. At the highest setting, many turns pass per second. 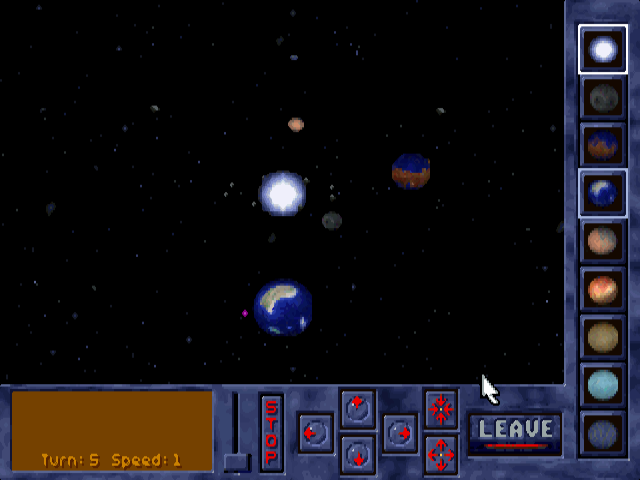 The speed can be changed from the space map display or the options screen at any time. You can save anytime and put it down, but that isn’t as easy as it seems. 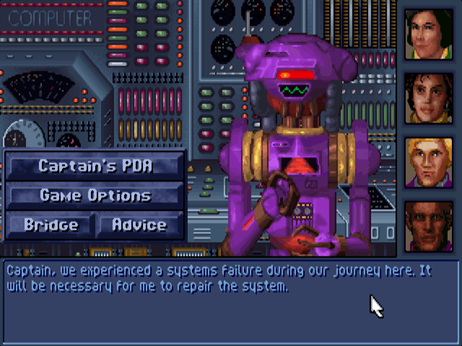 You’ll almost always have several projects on the boil; exploring here, setting up a colony there, upgrading another colony, whatever you’ve chosen to accomplish. You’ll have your transport fleet moving resources around. That means you’ve always got something you’ve set up about to happen, or about to arrive. That means just one more turn, and another just-one-more-turn, and perhaps another one. 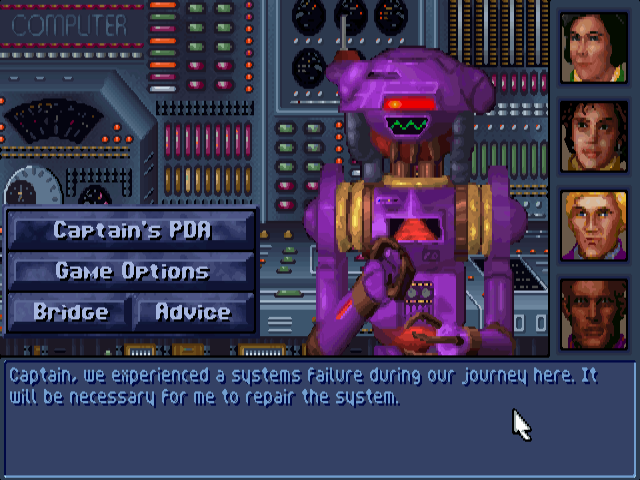 If this style of game doesn’t bore you to tears, it can be tricky to set-aside, particularly if you liked Millenium 2.2 or Deuteros. That can have you managing colonies until the sun comes up. Even if you don’t make it all the way through the story (and to the potentially rather difficult endgame) there’s still a lot of fun to be had in the getting there. On the whole – if you can get a hold of it – I highly recommend this game. 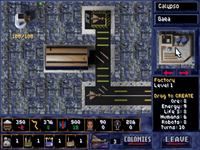 While the graphics are dated, and the game pre-dates the mouse-wheel, the gameplay remains undiminished, and there are far worse titles on the shelves today.